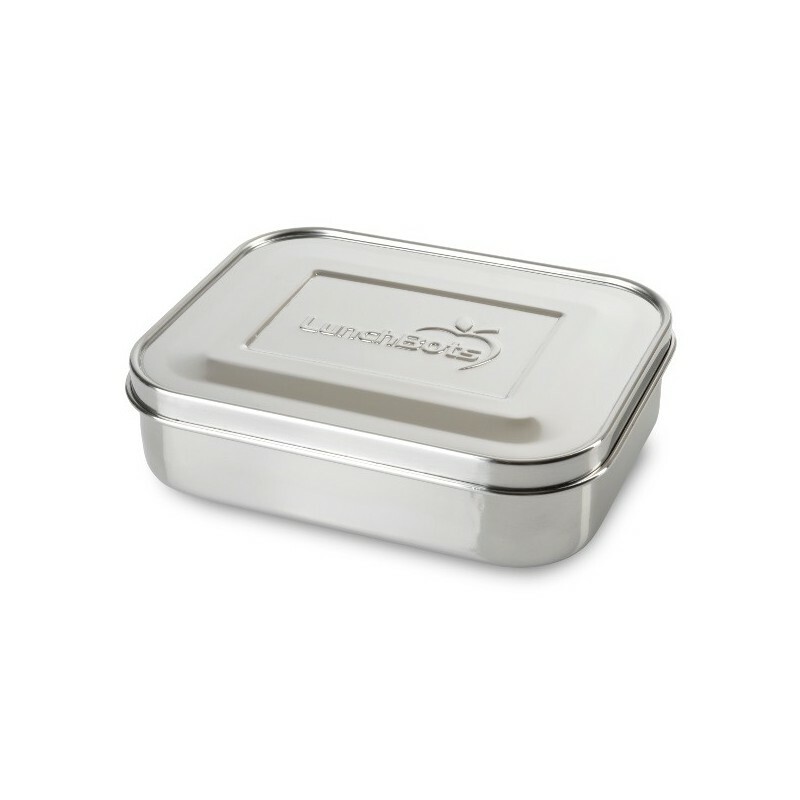 A medium sized, single compartment stainless steel lunch container with stainless steel lid. LunchBots lunch boxes lids and containers are manufactured from high quality, food grade, 18/8 stainless steel. Free from BPA. Previously known as the 'Classic' container. Buying this product = 33 Reward points for Members. Your cart will total 33 points = voucher of $1.65. Not a Member? Join at checkout to claim these points. 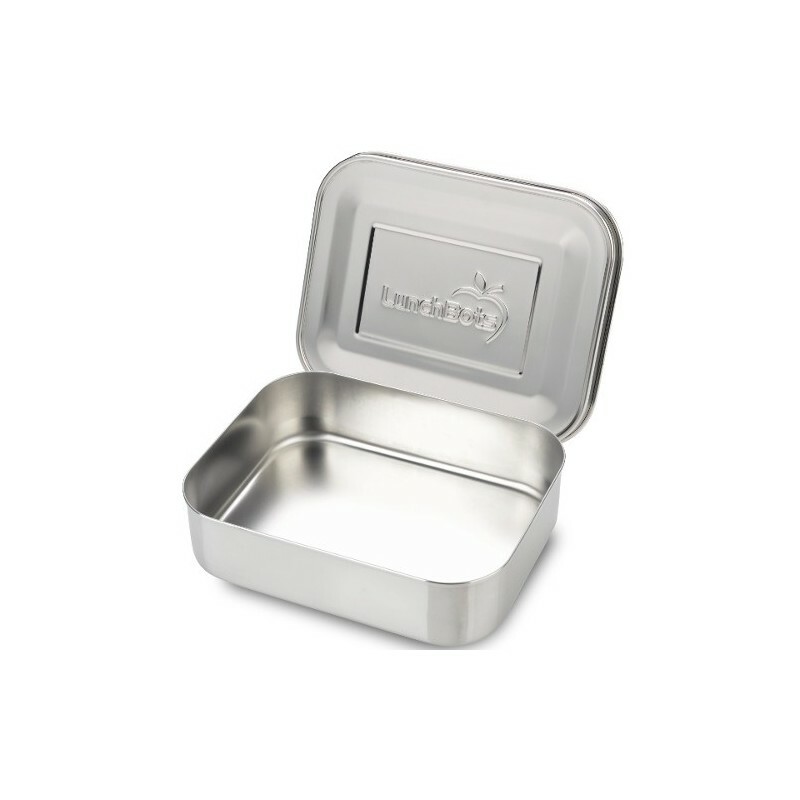 Stainless steel lunch box from LunchBots is the perfect container for packing a sandwich, sushi, burrito - your favorite lunch to go. LunchBots lunch box lids and containers are manufactured from high quality, food grade, 18/8 stainless steel. Add a set of leakproof dip containers that are small enough to nest inside or keep separate. Perfect for dressings, dips and extra snacks. 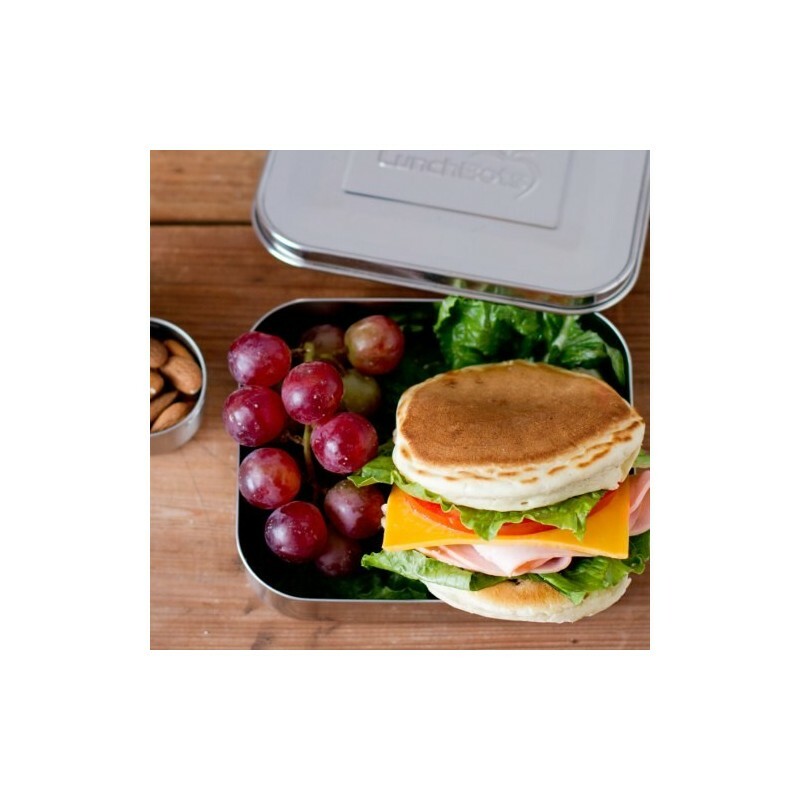 Reusable and recyclable, with their convenient sizing a stainless steel lunch box encourages you to do away with plastic wrap. Team up with other LunchBots varieties to make a complete lunch and snack pack. Independently lab certified to be lead-fee. Top of lid powder coated with a non-VOC finish. Best for solid food, LunchBots are not water tight. 15.2cm x 12.5cm x 4.4cm. US company. 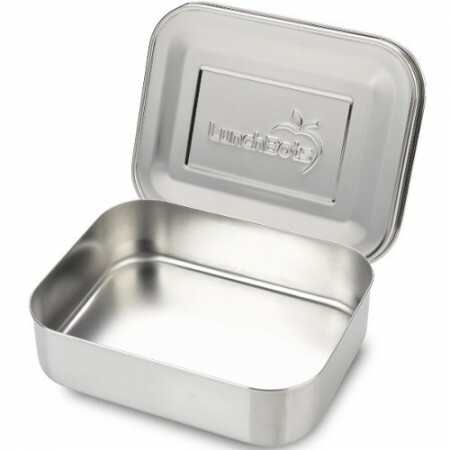 Stainless steel lunch box by LunchBots is made responsibly in China. Browse all the Lunchbots stainless steel lunch boxes range. Browse our other safe lunch boxes & wraps. I love this size for storing a single serve of leftovers or a small sandwich. It works well for taking an afternoon snack like fruit or banana bread. This wasn't the right container for me, as it is not leak proof. I normally buy one that has clips on the side and I didn't notice that this one doesn't. You could use it for a sandwich or getting takeaway sushi put in there etc but if you like to take cooked lunches in these I think it would leak. Slim and easy to pack into a bag with a sandwich or snack on the go, my son really likes taking his sushi to school in it. Easy to wash. light and the bonus is unlike the plastic lunch boxes it does not stain or keep a smell. Glad I bought a few of these.